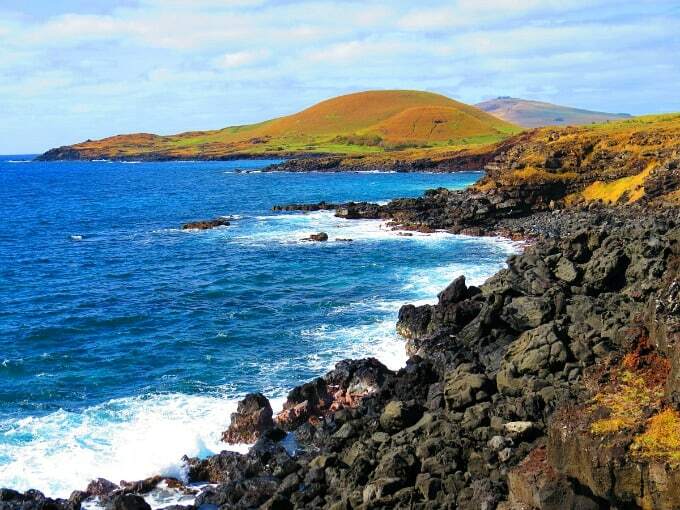 An isolated volcanic island located in the heart of the South Pacific, Rapa Nui National Park is widely known as one of the most isolated destinations in the world. Colonized around 700 AD by Polynesian settlers whose spiritual beliefs led to the carving of enormous stone statues called Moai, much of the area is dedicated to important archeological sites. The mysteries surrounding how and why these giants of stone were carved continue to fascinate the world today. After Europeans stumbled upon it in 1722, tales of this exotic island with monolithic stone giants spread throughout the world. Explorers traveled here from far-off lands, most notably Captain James Cook in 1774. 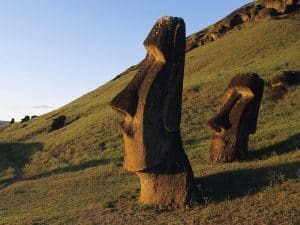 Chile eventually took possession of Easter Island in 1888, and it has been a Chilean territory ever since. Named a UNESCO World Heritage Site in 1995, Easter Island still displays many of the cultural elements of historical Polynesia today. 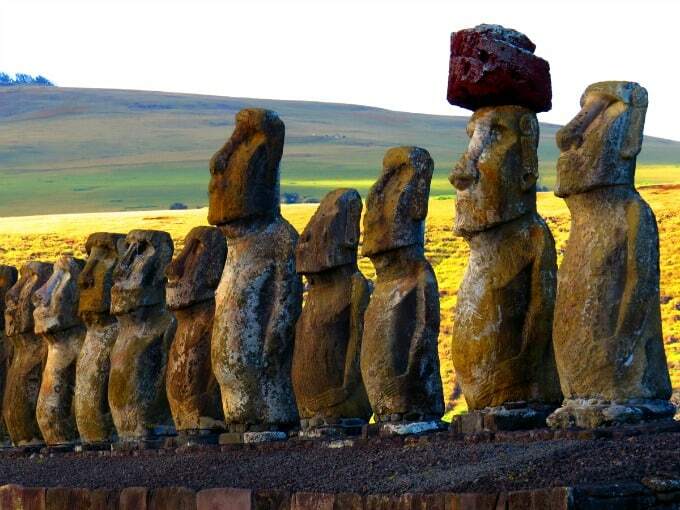 The park is a protected Chilean wildlife area which concentrates on maintaining the legacy of the Rapa Nui culture. Easter Island is considered one of the most isolated inhabited destinations in the world. The closest inhabited island is Pitcairn, which is located almost 2,000 kilometers away. It is 4,100 km to Tahiti and 3,700 km to mainland Chile. The first foreigner to discover the island was Dutch explorer Jacob Roggeveen, who was actually searching for another island altogether. He landed there on Easter Sunday, April 5, 1722, and called the place Easter Island. It was 48 years before another ship made contact with the island. There are 887 giant moai statues dotted around Easter Island today, though there used to be thousands. The moai were carved from large chunks of volcanic ash, with eyes made from white coral and obsidian for pupils. It took over 100 people to drag a single moai into place as they were so heavy, and 5-6 men working together around a year to fully carve one. The heaviest known moai weighs in at over 80 tons. Contrary to previous beliefs, the stone moai are not just heads (although some have been buried up to their necks over time). 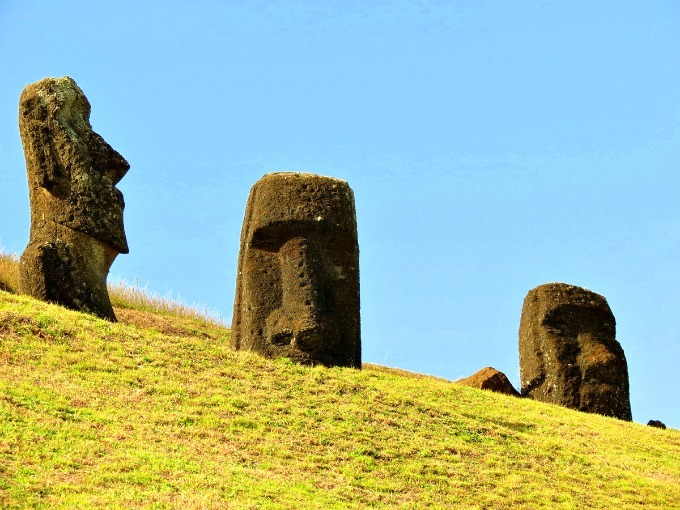 In recent years many of the moai have been excavated for scientific research. The archaeologists were surprised to find that the stone heads were attached to full stone bodies which were buried torso-deep in the ground. Some were even found to be complete kneeling figures. Digs have uncovered some statues up to 7 meters (23 ft) tall! Undeciphered petroglyphs have been found on the excavated bodies of many of the moai. Easter Island is essentially completely disconnected from the rest of the world. Internet connection is occasionally possible, but very limited. While some accommodation providers may claim to offer WiFi, it’s best not to count on it. There are no trees whatsoever on Easter Island, even though there used to be many forested areas around the island. Among the many theories as to what led to this mass deforestation are the overpopulation of the island and subsequent overuse of its natural resources; clearing large forests to make room for agricultural initiatives; and the invasive introduction of Polynesian rats, who may have eaten enough seeds to help completely destroy the trees. 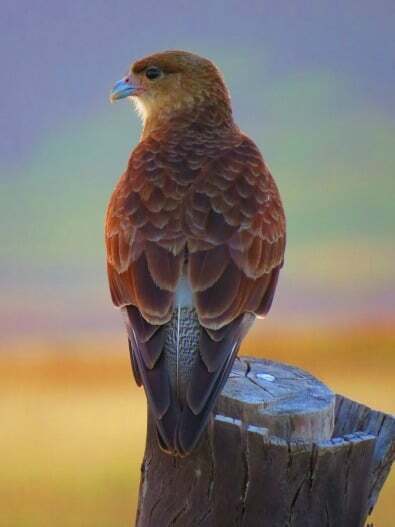 There are also very few birds on the island. A once healthy community of 30+ species of seabirds declined along with the trees. 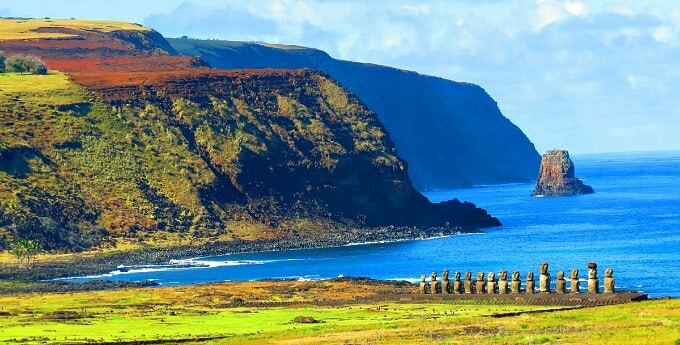 Vandalism comes at a hefty price in Rapa Nui National Park. As a protected UNESCO World Heritage Site, extensive archaeological work to preserve the moai has been underway ever since 1995. A foolish Finnish tourist who chipped the earlobe off one of the moai in 1995 was fined a hefty $17,000 and banned from returning to Easter Island for 3 years. According to the 2012 census, Easter Island has about 5,800 residents, about 60 percent of which are descendants of the aboriginal Rapa Nui. The struggle for independence is still a major political issue for these indigenous people, whose homeland has been classified as a “special territory” under the rule of Chile since 2007. Easter Island has no permanent source of freshwater. 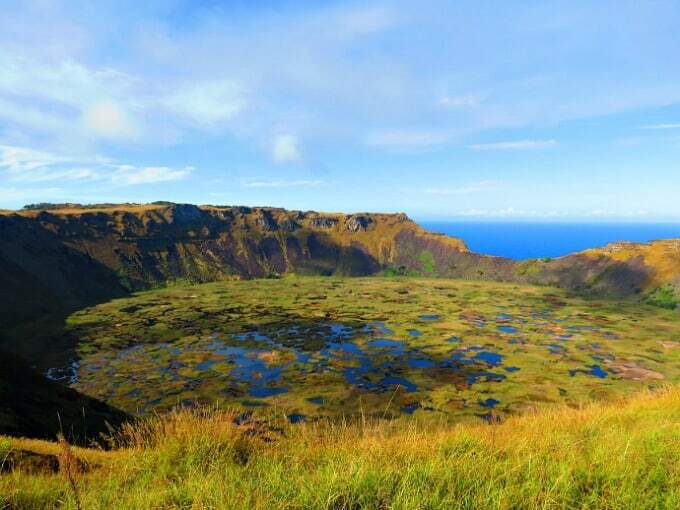 There are three picturesque crater lakes in dormant volcanoes– Rano Raraku, Rano Kau and Terevaka– and the Rapa Nui developed innovative techniques for capturing rainwater (some of which use elaborately carved stones). The island’s tropical rainforest climate typically brings around 45 inches of rainfall each year. 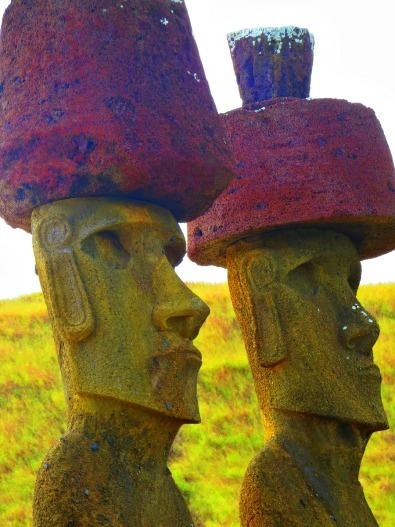 The history of the Rapa Nui can serve as a cautionary tale for the rest of the world. Much like Easter Island, our planet’s limited natural resources must be consumed in a sustainable fashion if we want it to support life in the long-term. Just as the islanders are isolated from their nearest neighbors, we here on Earth have no real hope of finding another planet on which to live anytime soon. The Rapa Nui lost their trees, their wildlife, their traditional way of life (with no wood, how do you make a boat from which to fish?) because they consumed more than they produced. 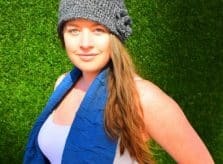 Megan is an Australian Journalist, and the founder and Senior Editor of Mapping Megan, an award-winning travel blog bringing you the latest in adventure travel from all over the globe. With a mission to inspire others to embark on their own adventure, Megan and husband Mike believe that travel has the potential to inspire change in people, and in turn inspire change in the world. They embraced travel as a lifestyle in 2007, and are dedicated to documenting their journey and observations through entertaining, candid articles and brilliant photography. 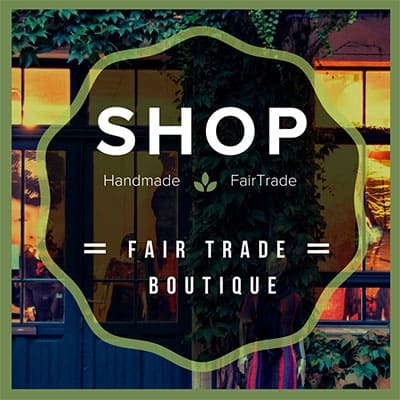 You can follow their journey on Facebook, Twitter, Google+, YouTube, Pinterest and Instagram.